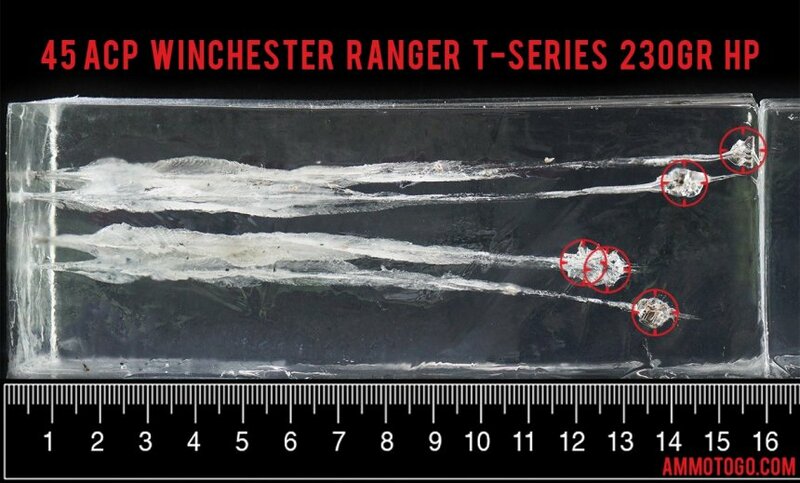 This is 45 ACP Winchester Ranger Talon 230gr. Hollow Point Ammo. This ammo contains the 3rd generation of the Black Talon bullet. It is basically the same bullet as the original Black Talon, except for that it is not black, which was a Lubaloy coating. This ammo still has the reverse taper bullet and expands out the talon petals upon impact. When the Talon petals expand out they are as sharp as a razor and then the bullet will spin inside the target and the talon petals will cut anything in the bullets way. 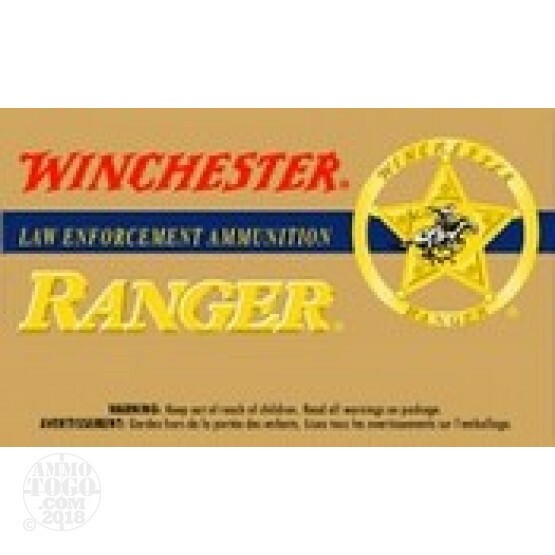 It is not only the best defense ammo available, it is a great investment. It will only continue to go up in price as the availability decreases. It comes packed in 50rd boxes, 500rds. per case. How do the results for this Winchester Ammunition 45 ACP (Auto) compare to other 45 ACP? Expansion Diameter Compared to All 45 ACP (Auto) Ammo Tested MIN 0.45" MEDIAN 0.64" THIS AMMO 0.95" U.S. dime MAX 1.04"
Penetration Depth Compared to 45 ACP (Auto) Tested 0" 10" 20" 30" MIN 8.3" MEDIAN 16.7" THIS AMMO 14" MAX 32"